Welcome to The Lyric, a beautiful little Victorian pub in central London that offers more than expected: An excellent array of draught & bottled beer, fine wines & spirits, freshly prepared food & a very warm welcome. 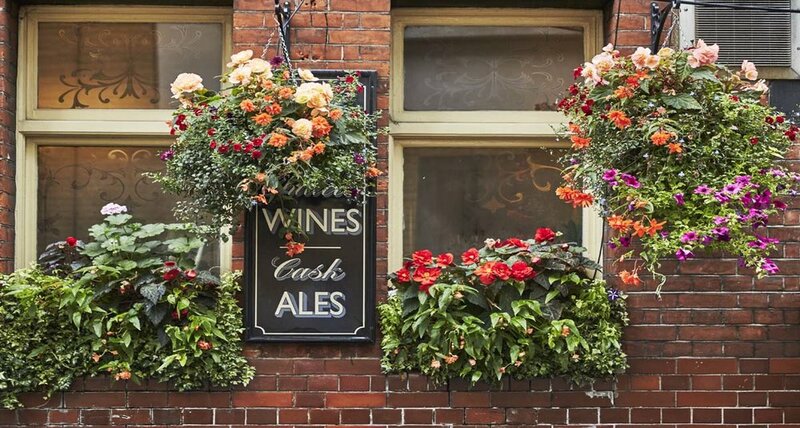 Located a stone's throw from Piccadilly circus in London's vibrant Soho, The Lyric is a local's pub in the heart of the city. A proper pub with open fires, well kept beers, great food, cosy atmosphere & great conversation. Why not pop in and see us for a pint soon? Seasonal dishes, daily deals, home-made pub classics for all the family. Numerous top quality cask and keg beers both familiar and exciting, delicious affordable wines, small batch spirits and a great atmosphere for all occasions. Food at the Lyric is an unfussy affair. Expect home-made pub classics, great burgers, BBQ ribs, Sunday roasts & a great selection of bar snacks. Our seasonal menu reflects the best of British cooking - classic dishes prepared with great ingredients and lots of love. We are especially proud of our Sunday roasts and we hope that you'll like them just as much. Our 20 taps feature cask and keg beers from London and the world’s leading independent breweries. Expect great beers, ciders and a handful of carefully selected fine wines, plus world famous and small batch spirits.